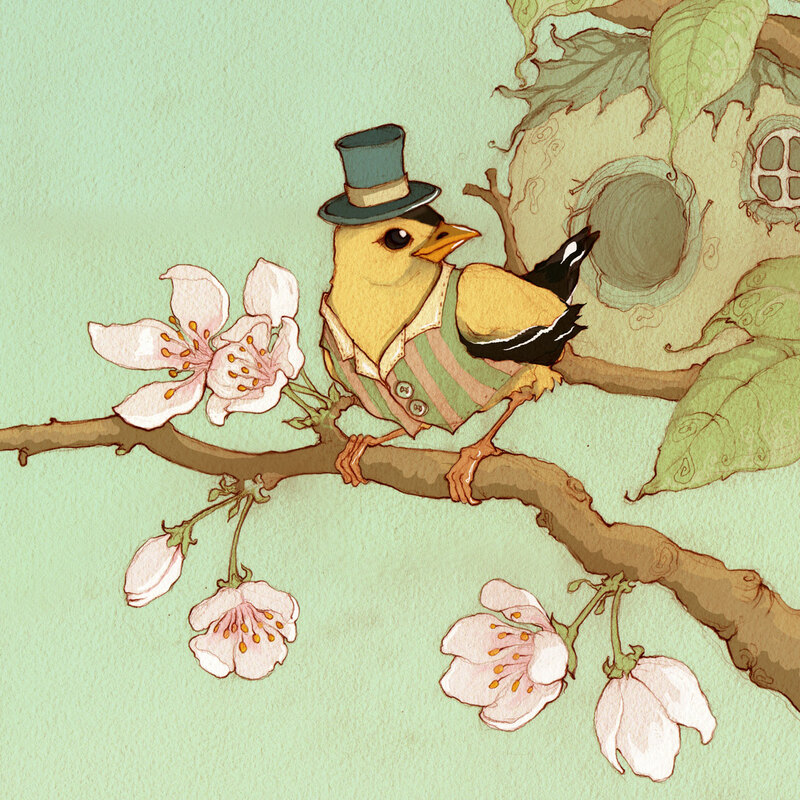 Mr. Finch, or Spring Birdy. Original Illustration by Aileen Leijten. Drawn with graphite pencil on water color paper and digitally painted in photoshop. Drawn in graphite pencil, and digitally painted in Photoshop.